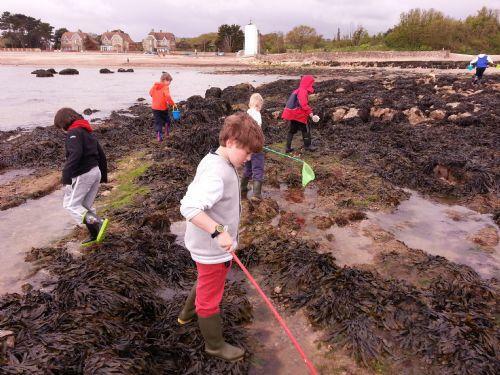 A highlight of Year 4 is the Isle of Wight Field Trip which takes place annually in May. All the children greatly look forward to the trip, which enriches their curriculum through a wide variety of hands-on experiences. The Field Trip is from a Monday morning to a Friday afternoon, and is particularly designed to prepare our Year 4's for their forthcoming transfer to Middle School in September through developing their skills of independence and team work. The Trip is 'home grown' in that we do not stay in an Outward Bound or Activity Centre, but in a small family-run hotel ('The Sands') on Sandown seafront. The children share bedrooms of 2 or 3 with their own en-suite facilities, and the week's programme is planned and run by our own staff. 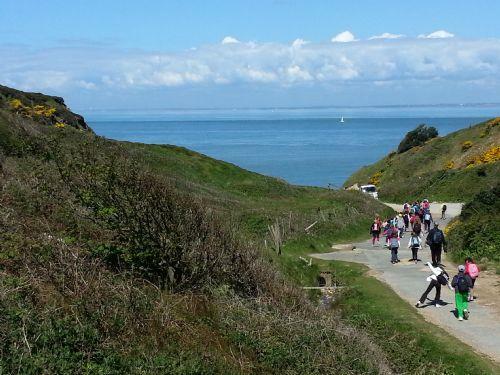 Regular Field Trip activities include rockpooling, walking a section of the Isle of Wight Coastal Path, visiting Alum Bay and exploring Robin Hill Country Park, but every year the programme is slightly different. The trip in 2013 had the theme 'Defences' and incorporated visits to Sandown Zoo, Carisbrooke Castle and the Needles Battery. 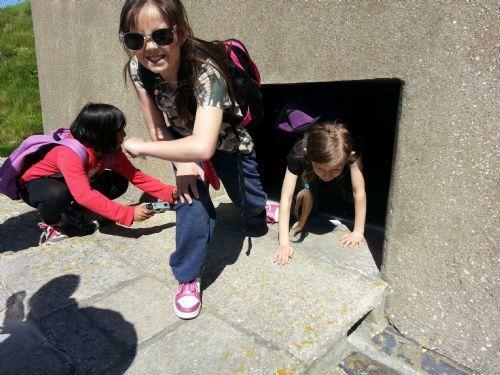 In preparation, the children studied our own local castle in Windsor, and looked at how animals defend themselves through camouflage and through the mechanisms of 'fight or flight'. They also examined different rocks, particularly chalk, in readiness to spot how sea defences are used to prevent coastal erosion. The benefits of the Field Trip simply cannot be over-estimated. Being away from home for a week is a big step, but also a great adventure, and one which the Field Trippers always enter into enthusiastically and whole-heartedly. For the staff it is a pleasure and a privilege to observe the children's growing confidence, and to share in their enjoyment. For the children it is a magical week of awe and wonder, and the creation of a lifelong memory.